The Foundation for Chiropractic Progress (F4CP) is celebrating the more than 70,000 doctors of chiropractic (DCs), along with the nearly one million allopathic (MD) and osteopathic (DO) doctors in the United States on National Doctors Day, this Saturday, March 30, 2019. Chiropractic is a 123-year-old evidence-based practice recognized and licensed as a health care profession in all 50 states, along with the District of Columbia, Puerto Rico and U.S. Virgin Islands. Like other doctors, DCs undergo extensive education and training, including seven years of higher education. 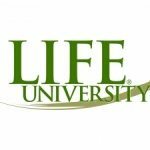 The DC curriculum includes a minimum of 4,200 hours of classroom, laboratory and clinical internship, and the typical DC program is equivalent in classroom hours to allopathic and osteopathic medical schools. 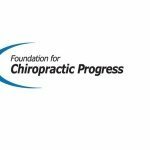 The Foundation for Chiropractic Progress is a not-for-profit organization dedicated to educating the public about the value of chiropractic care. National Doctors Day was first federally recognized on March 30,1990. Chiropractic training is focused on non-pharmacologic management of neuro-musculoskeletal pain, primarily of the back, neck and head. DC training, however, is also holistic and emphasizes improving general health, wellness, nutrition/diet and athletic performance. Today, as the U.S. continues to face an opioid epidemic, pursuing drug-free care to manage pain while focusing on holistic health and quality of life is more important than ever. In a presentation on “The Role of Nonpharmacological Approaches to Pain Management” given by Optum at the National Academies of Science, Engineering and Medicine (NASEM) in Dec. 2018 in Washington, D.C., Optum shared that conservative care can save $230 million in annual medical expenditures and can reduce opioid prescribing by 26 percent. In Optum’s experience, conservative care costs an average of $619 per episode compared to $1,728 for a specialist. Optum’s goal in the next two years is to increase the use of conservative care pathways from 31 percent to more than 50 percent. To read the full release go to f4cp.org.